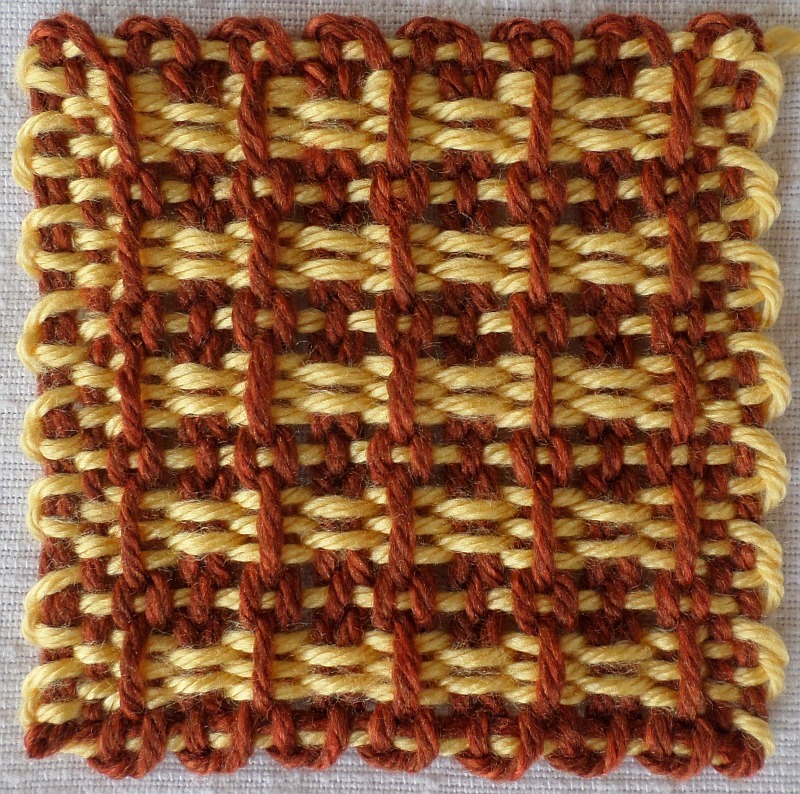 This is a fun, simple, and beautiful pattern. 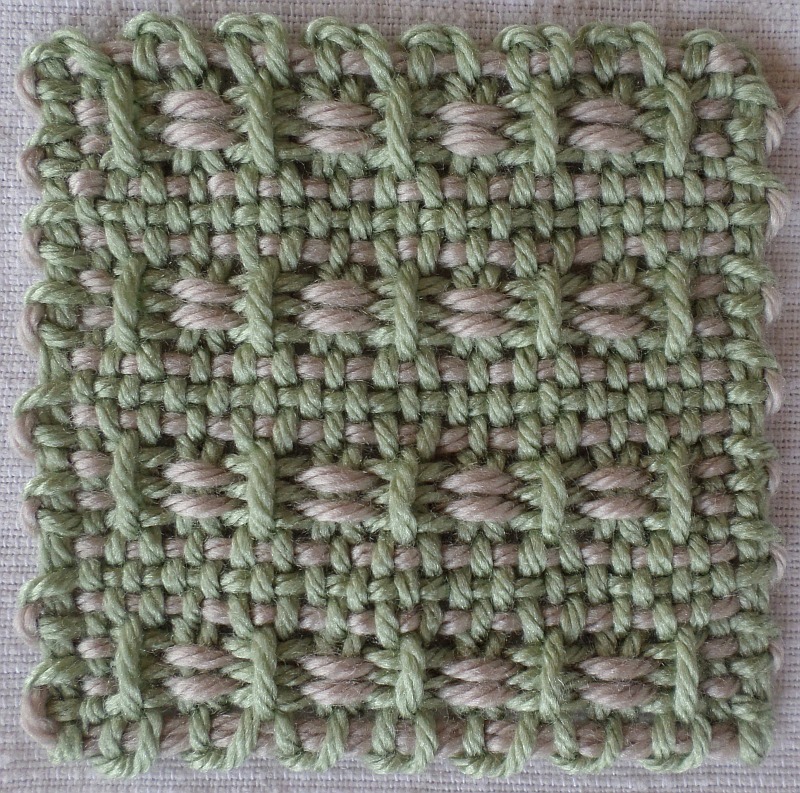 It comes from the Orignal Loomette Weaves pattern book (pattern design chart included below), but I altered it slightly so the stitches are centered and don’t run off the edges of the square. All ways of warping and weaving this pattern look nice, I think. Loomette #20 with P2 on outside edges or each row, original row spacing preserved.